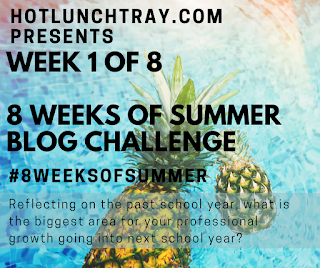 This post is week 1 of 8 in the 8 Weeks of Summer Blog Challenge for educators from hotlunchtray.com - Find out more about the challenge by clicking here. I know that I'm in the right profession, because when I learn I get excited. I share what I learn to twitter, voxer, this blog, as well as other mediums. However, if I'm being honest with myself, I begin to admit that I don't keep a good balance of learning about all of the aspects of my profession. I find myself quickly getting wrapped up in coding in the classroom, makerspaces, technology integration, and so on. 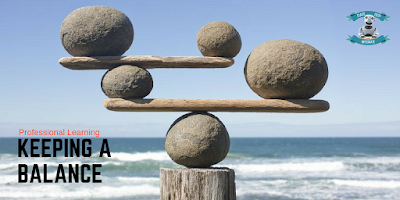 As I reflect upon my professional learning I have to ask myself, "Do I really take a balanced approach to all of the professional learning topics that I need to stay on top of?" My self critical side says, "no, not really." I'm going to take this prompt as a challenge to balance out my professional learning goals. To do this, I plan on using either Padlet or Google Keep for content curation. I am going to set up a few different labels/pages: Educational Leadership, Pedagogy Practices, Curriculum Development, Technology Integration, 21st Century Skills. After I figure out which tool I'm going to use, I plan on setting a goal for at least one link per month shared to each category. As I check throughout the year, I can see how balanced I am with each category. It is hard to admit when we are concentrating on the hot topic instead of moving all facets of ourself ahead. I struggle with only wanting to do the "fun" stuff and putting off (sometimes very successfully) the hard ground work to bring future projects to fruition. I can see that without a honest checkin every once in awhile I will put myself at a disadvantage. I hope you do some check-in posts with your Keep V. Padlet plan! I still use Diigo and Evernote for content curation. I especially like Diigo because I can highlight on the webpage and annotated, all of which are saved in my bookmarks. 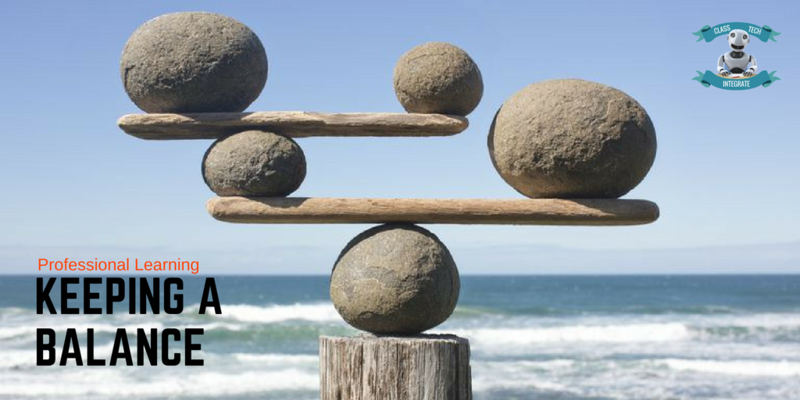 You make a great point about balance in our learning goals-- and in our reflection. Thanks for sharing your idea.